Home » Will Solar Panels Work Through Glass? Will My Solar Panel Produce Electricity Behind Glass? Is It Worth It to Install Solar Panels Behind Glass? Most applications for PV systems might not even consider this question. Grid-tied PV systems generally have wide spaces available for solar panels to directly reach solar irradiance every day. Both roof-mounted and ground-mounted systems are the most popular and common ways to use solar panels as a source of electricity. However, those who are thinking about off-grid applications may find this question more interesting. For example, you may find yourself going on a camping trip, and you might be thinking of charging the batteries to your small solar panels while they’re facing the windshield. Or maybe you want to know if installing some solar panels inside the house would be useful if they’re facing a skylight. Or perhaps you are just curious about it. Whatever the reason you have to ask yourself this question, here you will find the answer. To save you the suspense, the short answer is yes. Solar panels are able to work even when sunlight passes through a glass, but their efficiency and power outputs are nowhere close to their nominal values. To understand the reasons behind it, we must first learn all the different ways in which a glass can affect the sunlight. Let’s analyze them! Light can be described as a wave, as a particle (photon), or as both, depending on the type of experiment that evaluates it. When the ray of light travels from the Sun to the Earth, it has a specific speed and direction. 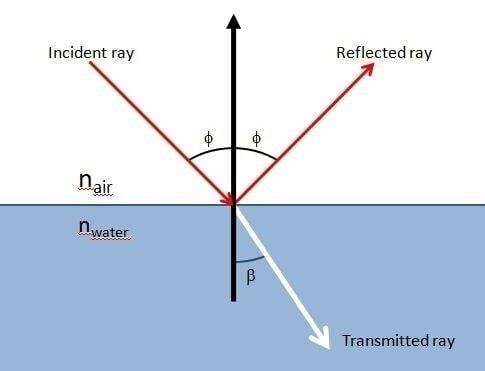 If the ray of light reaches another surface, then part of the ray can be reflected back to the air, and part of the ray can be refracted inside the surface. This physical phenomenon occurs according to the Fresnel Law, based on the Snell Law. Simply put, these laws establish that when light reaches another media, like water or glass, then part of that light will be reflected and the other part will be refracted inside the surface, but with a different angle and speed. The variation of the angle and speed will depend on a coefficient known as the refraction index of the media, which can vary according to the type of glass. So, how does all of this affect our solar panel? The amount of photons that reach the solar panel are not the same because some of them will be reflected by the glass. All of that sunlight that is reflected by the glass will be lost, and the solar panel won’t be able to generate as much electricity as it should. Losses will change depending on the reflection factor of the glass, but in any case, they will reduce the energy output of the solar panel radically. As in any PV system, the orientation towards the Sun is essential to optimize the energy yields of the solar panels. Placing the solar panels inside a house or inside a car is a terrible idea from this point of view. First, solar panels need to be placed towards the South (US case) in order to maximize energy yields. If you are moving in a car there is nothing you can do about it because the orientation will change constantly, so you will simply obtain different power outputs across the day. If you are inside a building or house, you will need to find a window that faces South in order to maximize your power output. Placing a solar panel behind a window that is facing North would be equal to not having a solar panel. Second, by placing solar panels inside a building or a behind a car window also has a bad effect. The solar irradiance will be at its maximum value when the Sun is in its highest position, meaning midday. Since the roof of the car or the house will be blocking the direct path of sunlight at this time, then your solar panel won’t be able to take advantage of one of the best moments to generate solar energy. The only production at this moment will be from DHI. Solar irradiance is generally described as the combination of two types of irradiance. Direct Normal Irradiance (DNI), related to the incident sunlight that impacts in a perpendicular angle directly to the solar panel without reflection, refraction, or loss of any kind. On the other hand, there is the Diffused Horizontal Irradiance (DHI), associated to all that solar radiation that is reflected or refracted by the atmosphere, clouds, mountains, lakes, or the ground. This component is referred to the solar irradiance that indirectly impacts the surface of the solar panel. 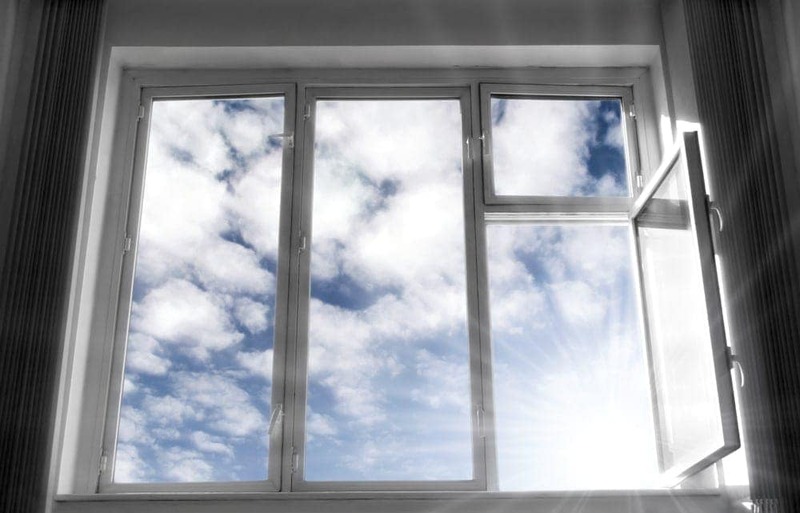 By placing a solar panel behind a glass or a window, you are eliminating the DNI component of solar radiation that would directly impact the solar panel. Meaning that your solar panel would be working mostly with DHI components, related to the reflection of sunlight from other sources. Another disadvantage of placing solar panels behind a window is that shadings created by frames or bars of the window will also reduce the power output. Moreover, you might think to park your car under the Sun and leave your solar panel inside to obtain maximum energy yields. However, as heat concentrates inside your car without air conditioning, the solar panel will get hotter due to the generation of electricity and the hot temperature conditions inside the car. This will induce thermal losses and could even damage the solar cells if the heat is too intense. Therefore, it is not the best idea. As you can see, there are many reasons why you shouldn’t install a solar panel behind a window. That doesn’t mean that the solar panel won’t work, it just means that the performance won’t be the one you paid for. Therefore, it is not recommended to place a solar panel behind a glass. You can take a look at a solar fan video here to check the losses in the performance of a small solar panel located behind a window.